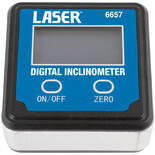 A 200mm digital angle rule that calculates angles quickly and accurately and is ideal for woodworking, construction, and machining. 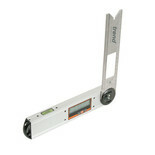 An invaluable tool for measuring accurate angles to +/- 0.1°. 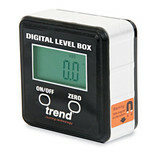 Simple to use with a large, easy to read LCD display. 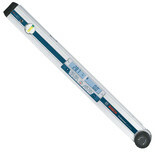 Find the angle on a surface quickly and accurately. 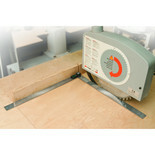 This level box features a magnetic base for hands free use - ideal for table or mitre saws. 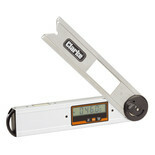 This angle finder features a large clear LCD display with digital readout to allow easy reading of angles. 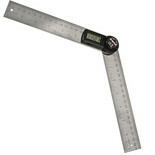 Calculates angles from 0-220 degrees. 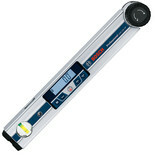 Up to 360 degrees when locking knob is removed.